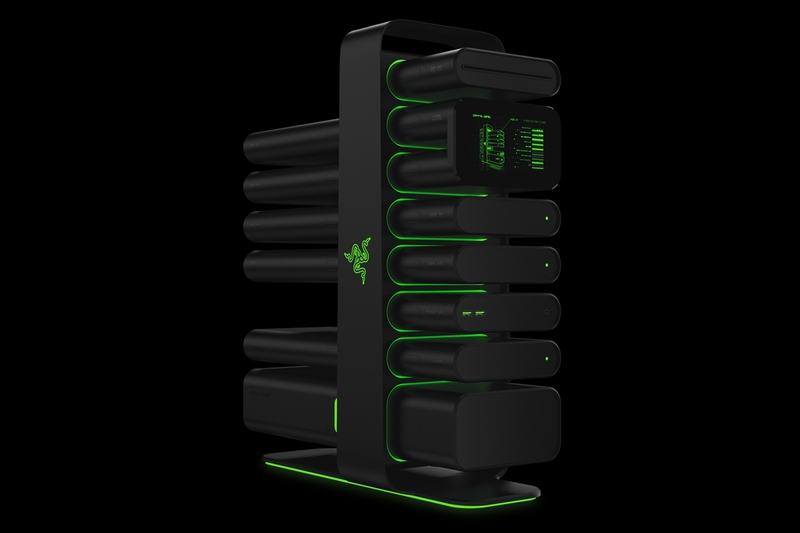 The Power and Flexibility of the PC Brought to the Masses: Project Christine from Razer. 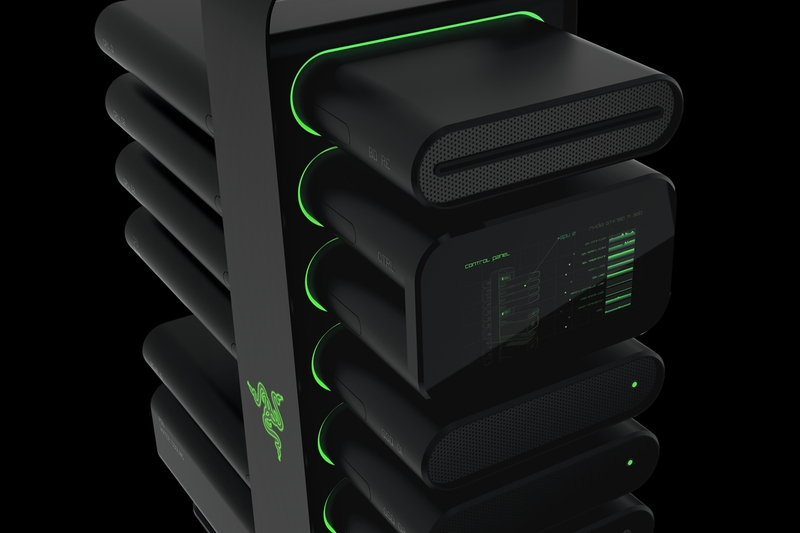 I had the chance to talk with Keven Scarpati of Razer at CES 2014 and get a look at some of their upcoming gear. As usual, they have some very interesting things in the pipeline, but the top of the heap has got to be their newest take on the personal computer: Project Christine. As PC gamers and enthusiasts, we know the advantages of the PC over the console, most notably flexibility. 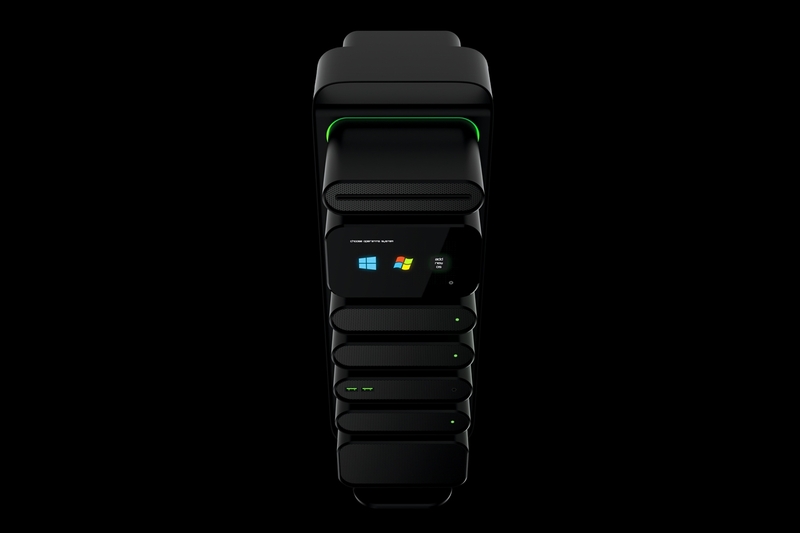 The PC is configurable in any number of ways with any number of different components and add-ons, to suit the needs of the consumer. This very aspect is what companies like Cyberpower work with. If you want a PC with certain specifications, but don’t have the technical knowledge or confidence to build one yourself, you can order one custom-made based on those specs, or even simply based on what exactly you want to do with it, no tech specs required and have it assembled and tuned and have the peace of mind of a warranty as well. In this image we can see the vertical backbone I mentioned. Each of the horizontal parts is a separate module, each serving one of the functions of a standard PC component, from motherboard to video to hard drive to SSD or power supply, all configurable to the user’s needs. If you’ll look closely at the lower left module in the above image you’ll see a green oval. In the concept mockup at the show this was a window to the coolant reservoir. Since these modules will be completely proprietary to the Christine ecosystem, they can be manufactured to certain standards, in this case a central liquid-cooling system with auto shut-off quick connect valves in each module. If a new module is added, it is automatically added to the liquid-cooling loop. Obviously, a reliable bleeding and filling system would need to be engineered, but that hardly seems a stumbling block to a project of this magnitude. Upgrade advantages are obvious. If the video card module is getting outdated, buy a new one and swap it out. Running out of storage space? Add a hard drive or SSD module. 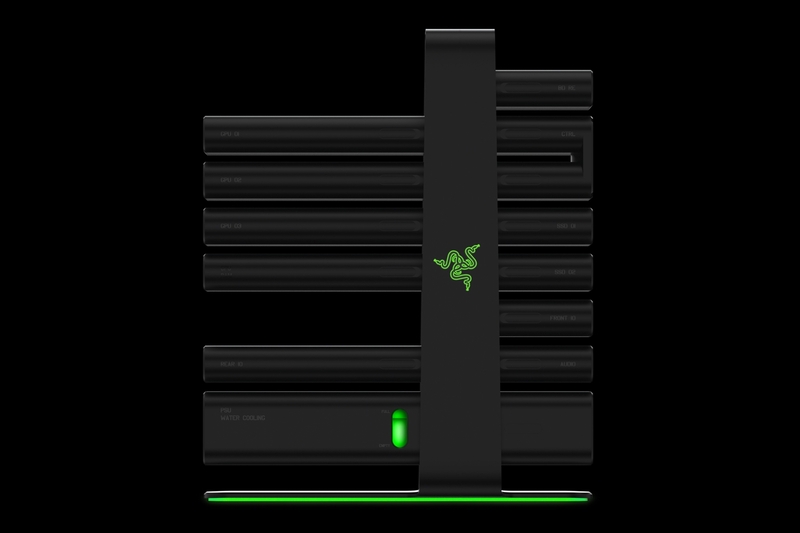 Razer is even thinking as far ahead as a subscription service, so that the end user always has the latest and greatest hardware available. Yes folks, technology is actually moving so fast that a subscription service is feasible for those who can afford it. 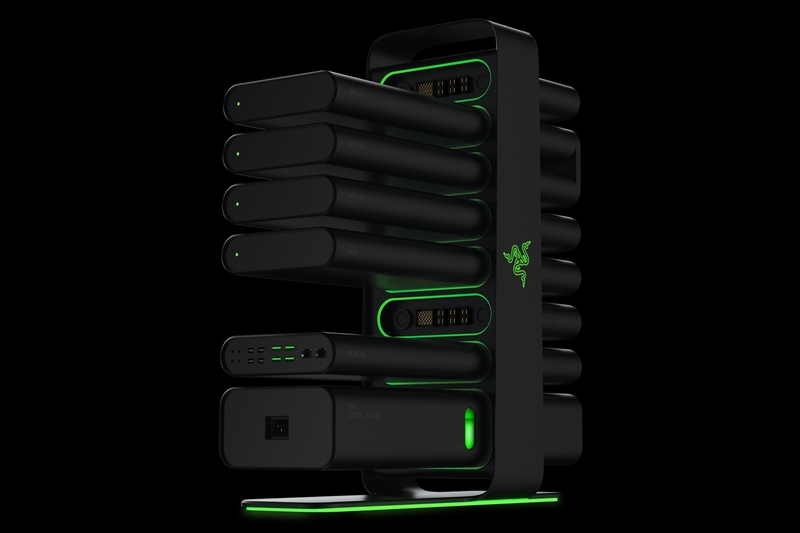 Project Christine is still very much in the planning and prototype stage, but today’s social networking and instant communication, combined with Razer’s following and the success of crowdsourcing projects, it is firmly within the realm of possibility. If it does materialize and it’s done right, I see the strengths and advantages of the PC combined with the simplicity and ease of use of the console. If third-party module development is allowed there’s no telling what might come of a project like this. Honestly, even it turns out to be just vaporware, it’s things like this that keep the technology moving forward. 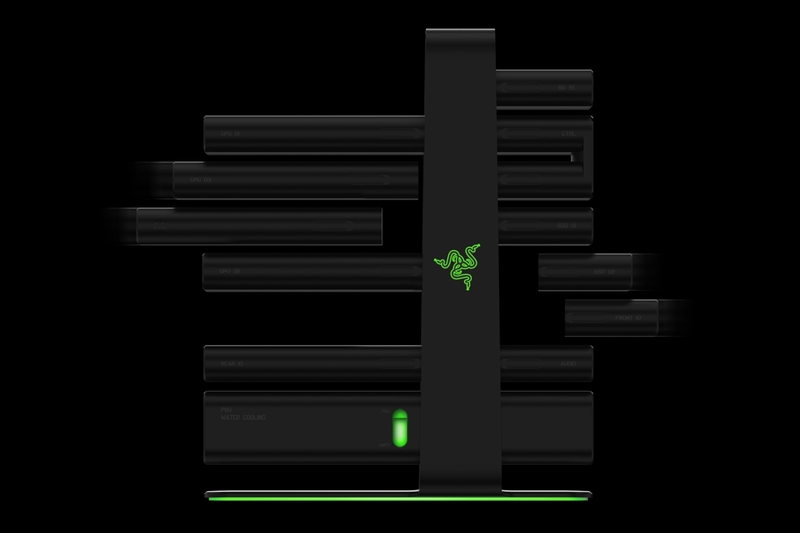 Hats off to Razer for the concept alone. Keep it up guys.